CEAG offers a wide range of lighting solutions for the medical and healthcare sector to organisations around the globe. As an experienced provider of critical lighting for hospitals, operating theatres and clinics across the healthcare sector, you can be sure that CEAG understands what medical professionals need. We offer specialist medical lighting solutions that are designed with both practitioners and their patients in mind. Whatever the situation requires, whether it’s adequate lighting for a consultation room or waiting area, or illuminating specific areas for close work, we can take care of it. Our wide range of products for the health sector includes everything from surgeons’ head-lamps and free-standing lighting equipment, to integrated systems for doctors’ surgeries, hospitals, dental clinics and veterinary practices. Whatever your needs, you can be assured of the highest quality, with products that are manufactured to meet industry standards. CEAG also supplies new and replacement bulbs and components for existing medical lighting installations. 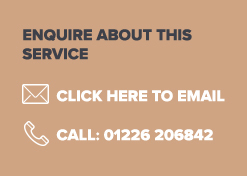 If you would like to find out more about lighting solutions for the medical and health sectors, or to speak with one of our expert advisors, please contact us by email on medical@ceag.co.uk, or via the contact form button below. We are proud to have serviced clients in the medical sector for many years, including Keeler, Palm Florida, Dr Keki Madon and Pharmon UK.